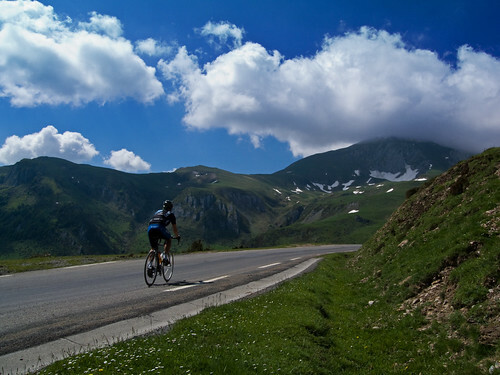 For an overview map and details on every route I have cycled in the Pyrenées see here. Col d’Aubisque was part of the famous 1910 stage where Octav Lapize called the race organizers “assassins.” It’s the second most famous climb in the Pyrénées after Tourmalet and has been in the Tour de France more often than not – something like 70 times. 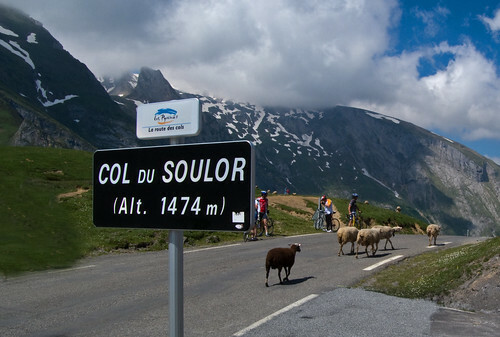 From the east side, the classic way to climb it is via the very scenic Col du Soulor. The deserted route to Col des Bordères goes through a beautiful little valley and then climbs out to descend down to rejoin the classic Soulor road. The climb is no joke. Roughly 750 metres of ascent and a couple of steep parts, especially the last 2 kilometres. Back on the Soulor road, it’s really the last 5 kilometres of this climb that get interesting and beautiful as one starts to get a hint of the mountains around Aubisque. From Soulor, the route descends to the Cirque de Litor. Formerly and sometimes still called La Cercle de la Mort – The Circle of death. This is an amazing flattish stretch along a cliff road and through 2 little rock tunnels. It was here in 1951 that Wim Van Est fell 70 metres off the cliff while wearing the Yellow Jersey – luckily surviving. As I continued a cyclist descending yelled something about watch out for cows!? And then I came upon this scene. 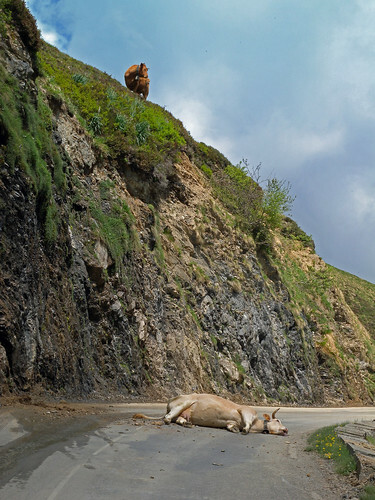 A poor cow had fallen off the cliff and was dead. Wow. I descended back directly, desperately searching for a restaurant that wanted to sell me food after 2pm. The fifth open restaurant finally offered a sandwich (and a beer). One of the best rides of the year. 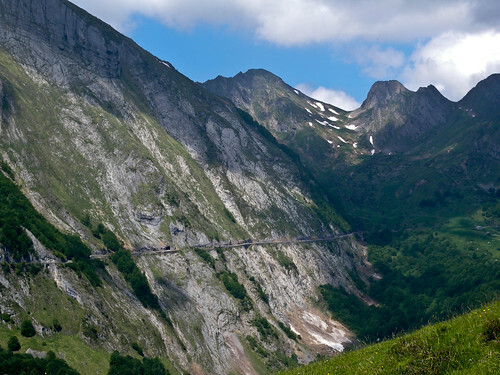 if you are planning on riding Aubisque via Soulor - TRUST ME - do not take the classic route. 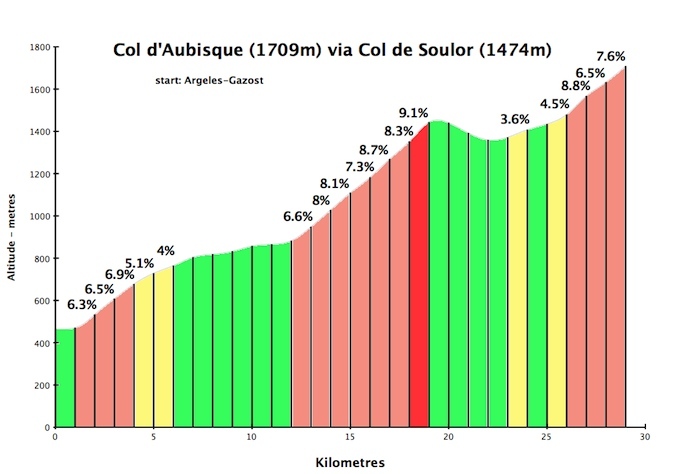 Instead, see my map, and do the bottom part of Soulor via Col des Bordères. Will, leave the cows alone. 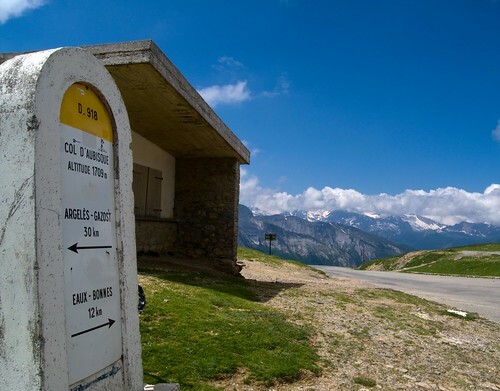 An other future col for you, also just in this region: Col de Spandelles. Could be included for a tour starting in Argelès-Gazost. Argelès-Gazost. – Col du Soulor – Col d’Aubisque – Col de Spandelles from Etchartes (*) – Argelès-Gazost. (*) Narrow route, about 11 km, always around 8%, almost no traffic. As a Dutchman and Tour de France fan I’m going to walk on the Aubisque (on my ‘pilgrimage’ from Santiago de Compostela to Rome mostly along the GR10) basically to honour Wim van Est, the first Dutchman ever to wear the Maillot Jaune (won the day before in the etape Angers – Dax) and hence one of my childhood heroes. My mother – bless her – believed that his miraculous save was due to intervention of the Virgin Mary in the nearby town of Lourdes. Van Est wore a Pontiac-watch, and for a long time we got to see the advert ‘Wim fell in the ravine – his heart stopped but his Pontiac went on ‘tic-tac’. Thank you for the anecdote of Oscar Lapize. There is also the story of The Frenchman Paul Duboc who was leading the race in 1911 when he accepted a bidon (flask) from a spectator on the ascent of Col d’Aubisque and then collapsed with stomach cramps, having been poisoned. He lost an hour but remounted and eventually finished second overall. He went back to being a carpenter and never rode a bike again. 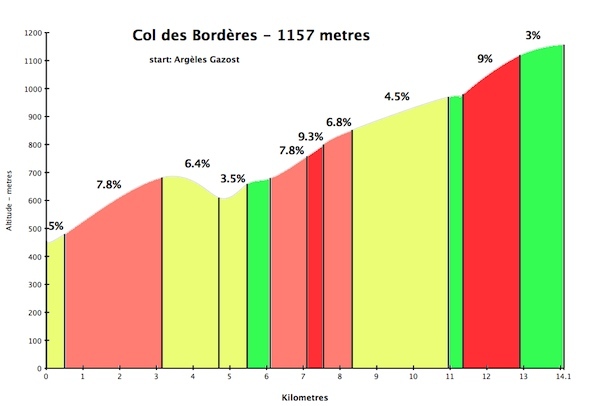 Thanks a lot for the tip… climbing via the Col des Borderes. 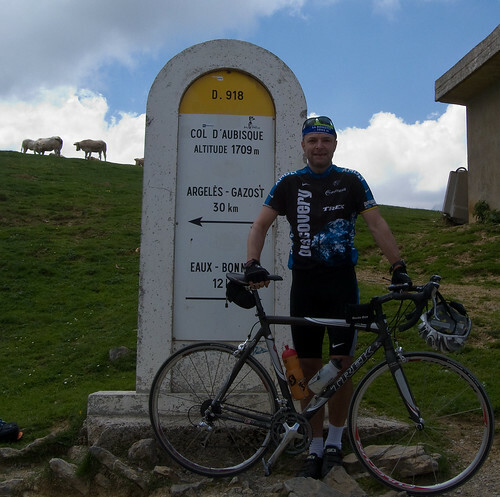 I just got back from doing a few cols in the alps., Mont Ventoux and several climbs in the Pyrenees and Because of this route up to the Col du Aubisque, this was one of the best rides ever. Too bad the TDF never uses these beautiful small roads lie the road over des borderes. 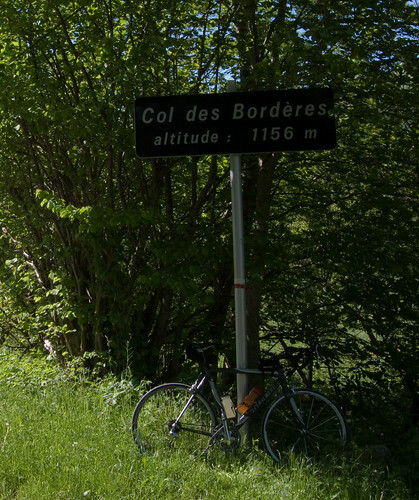 Here is a little video of part of a great little descent down from the Col du Soulor. Thanks for the feedback and video. Congrats on your trip – looks like the weather just about held. For anyone reading this, I have received a few notes already agreeing that the Borderes detour is well worth the effort when doing Soulor / Aubisque..
Can anyone tell me what Le Cycle’s top 30 most beautiful cols are? Is there a link to the article online? I’m going back to France (the Alps) for a second time next summer and would like to do a few different routes in 2012. Thanks! I followed your route via Col des Borderes this year having read this and can testify to it being one of the best rides. Thanks for the advice it made a great end to my Pyrennes trip. We just did this route and loved it. Cirque du Litor and Aubisque are out of this world. Add on the shot diversion to Lac d’Estaing and it’s the stuff dreams are made of!